Turkish President Recep Tayyip Erdogan will pay a visit to Russia on April 8, AzVision.az reports April 6 with reference to the press service of the Turkish leader. According to the service, the head of the Turkish Republic will take part in the eighth meeting of the Russian-Turkish High-Level Cooperation Council, which will be chaired by the heads of Turkey and Russia. The meeting will include issues of bilateral relations, in particular the situation in Syria, as well as other regional issues. It is planned to sign various agreements. 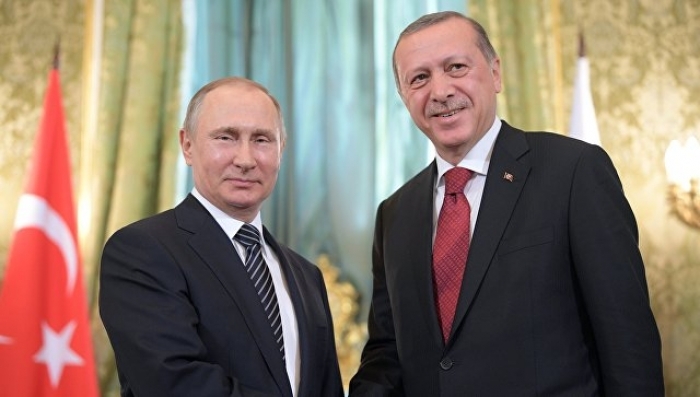 Recep Tayyip Erdogan and Vladimir Putin will meet with businessmen of both countries.